Throughout the European Union, national income tax systems support charitable activities by way of preferential treatment. However, a number of Member States operate relief regimes which appear to trigger the question of compatibility with Union law with respect to the fundamental freedoms. 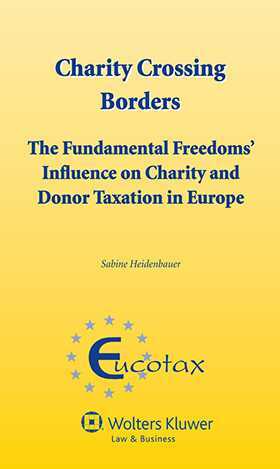 In this first study to examine charity and donor taxation regimes across a wide range of Member States, the author focuses on compatibility with EU non-discrimination law. She examines twenty national regimes, both comparatively and from the perspective of overarching EU law. The countries covered are Austria, Belgium, Bulgaria, Cyprus, Estonia, Finland, Germany, Hungary, Ireland, Italy, Latvia, Lithuania, Malta, The Netherlands, Poland, Portugal, Slovakia, Spain, Sweden, and the United Kingdom.